The Dean of Students office is encouraging students to use their differences to create a stronger FIU community with its new Bias Education and Response Team (BERT). Having an effective mechanism for addressing concerns of prejudice is a priority at the university according to Cathy Akens, associate vice president for Student Affairs and dean of students. Although there has always been the option to report bias incidents through the online reporting system, Akens heard about incidents that were not being formally reported. She knew students were talking to their advisors, mentors, and peers (and sometimes her office) and telling them about incidents, but not reporting it in a way that the university was able to appropriately respond. In addition, town hall meetings and focus groups uncovered student experiences with discrimination and microaggression, giving momentum to the creation of BERT. 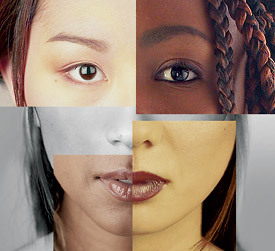 According to the committee’s website, a bias incident is an act of bigotry, harassment, intimidation, coercion or damage to property by known or unknown perpetrators that can be associated with negative feelings and beliefs with respect to others race, ethnicity, national origin, religion, gender identity, sexual orientation, age, social class, political affiliation, disability, veteran status or organizational membership. The team’s role is to take the bias cases, review them, open channels of communication and engage with the people involved to bring about some type of growth and resolution for the campus community. They’ll also be working with faculty, staff and university departments to implement educational trainings and presentations to serve as a resource when students encounter bias situations. Several students believe that the new team will assist with dealing with incidents of bias, as many have experienced it firsthand. Delgado emphasizes that the team is not out to police or control speech but to educate others on speech. He hopes that students know that there is an outlet for their concerns and that the team is there to listen. “It’s not just wait for a response and wait until an incident happens but also how do we proactively engage in educational efforts and initiatives that can help move the university forward in alliance with its values and ideas, respect for diversity and the dignity of the individual,” said Delgado. Samantha Caballero, senior communication arts major recalls being picked on in her high school honor classes. Her classmates made fun of her because of hair, race and the way she spoke, describing her as the funny-talking, weird, sassy Black girl. BERT has been meeting twice per month to lay the foundation of the work, discuss protocol and prepare for incident reports to provide immediate responses. BERT is made up of representatives from the Disability Resource Center, Campus Life, Women’s Center, FIU Police Department, Multicultural Programs and Services, The Division of Academic Affairs, The Office of Equal Opportunity Programs Diversity and The Dean of Students. For more information, visit stopbias.fiu.edu.